A native of Atlanta, Georgia, Dr. Chen obtained his undergraduate degree from Yale University. He earned his medical degree at Medical College of Georgia where he was elected to Alpha Omega Alpha, the national medical school honor society. He completed his general surgery internship and urology residency at the University of Michigan. Dr. Chen is a partner of Georgia Urology. He is a diplomate of the American Board of Urology and a member of the American Urological Association. Dr. Chen’s hospital affiliations include Dekalb Medical Center, Rockdale Medical Center, and Newton Medical Center. 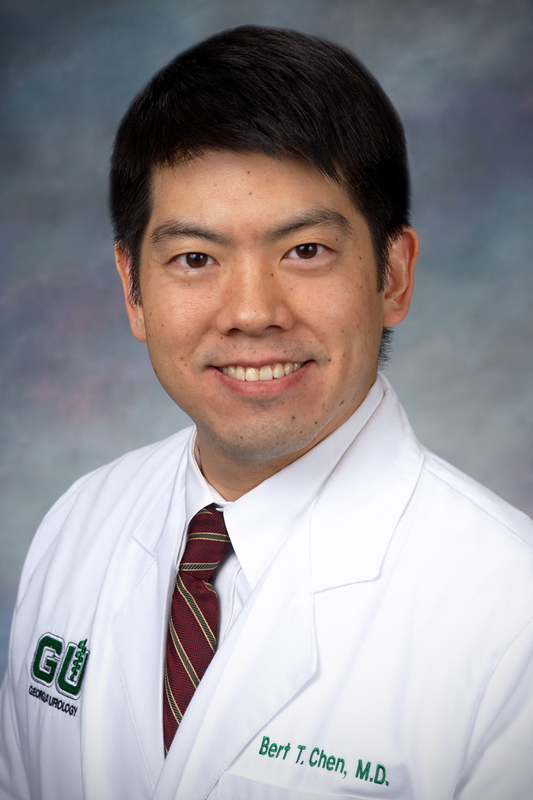 In addition to general urology, Dr. Chen’s areas of expertise include laparoscopic and robotic surgery, stone disease, urinary incontinence, and urologic oncology. Dr Chen has always made me feel like he really wants to make me feel better. He gives me all the alternatives available. He has a great bedside manner. The whole staff at GU are very friendly. I highly recommend GU! I have been seeing Dr Chen regularly for about 3 years. He has always been very patient with all my questions. On my latest visit we celebrated 2 years post successful surgery. Dr Chen, Neal, Auri and the rest of the Conyers office will take great care of you. I was told that I could not make the appointment for my next annual exam. Set up for a phone call in 11 months to then make the appointment. This is the first time I’ve been told this and it is not acceptable. Don’t know why this change was made but it shows a total disrespect for the patient’s schedule. Wait times when arriving at appointed times are consistently too long (probably average nearly an hour). The reception staff, while not rude, are never very friendly/welcoming. May GOD continue to bless the gifted hands of Dr. Chen. Very efficient and professional medical facility and staff. Dr. Chen and all the staff at the Conyers location is very courteous and highly professional. Very professional staff and physician was great, very detailed and friendly in their approach. Quick and efficient office. My whole appointment experience lasted about 45 minutes. I did, however, fill out the paperwork online before arriving.